The Spice Girls are about to spice up the lives of the UK and US fans, as they have decided to do a reunion tour. 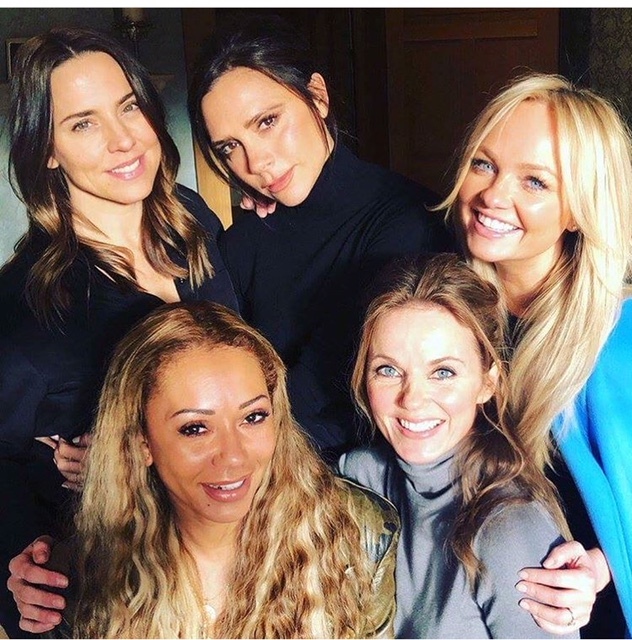 Members Mel B, Victoria Beckham, Geri Halliwell, Emma Bunton and Melanie C met last week with their former manager, Simon Fuller. 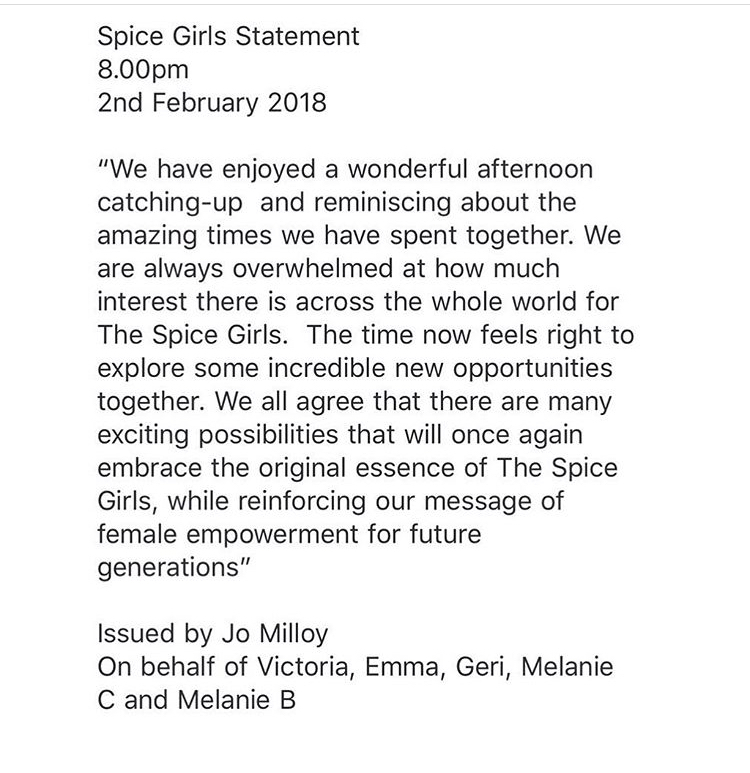 Following their meeting, the ladies released a statement about their plans to do a reunion tour. The ladies did not mention recording or releasing new music. Fuller will be managing the tour, which could be kicking off late this summer. Though no new music has been announced, there could be some merchandising opportunities for fans. Posted on February 9, 2018, in ENTERTAINMENT NEWS. Bookmark the permalink. Leave a comment.